Buy Online Now! 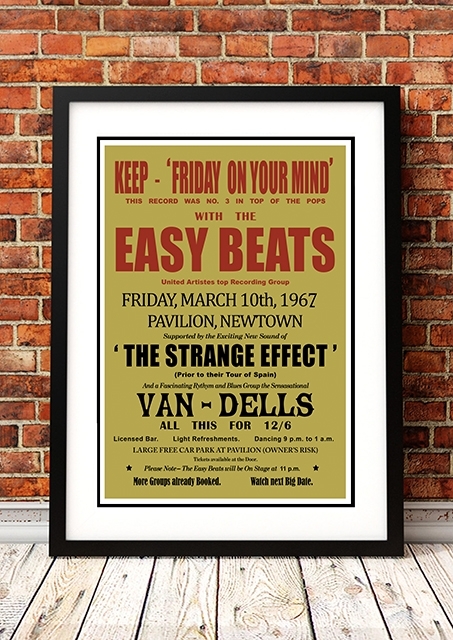 - Easybeats Rock Concert Posters and Memorabilia. The Easybeats were an Australian rock band. They formed in Sydney in late 1964 and disbanded at the end of 1969. They are regarded as the greatest Australian pop band of the 1960s, echoing the Beatles’ success in Britain, and were the first Australian rock and roll act to score an international pop hit with their 1966 single “Friday on My Mind”. 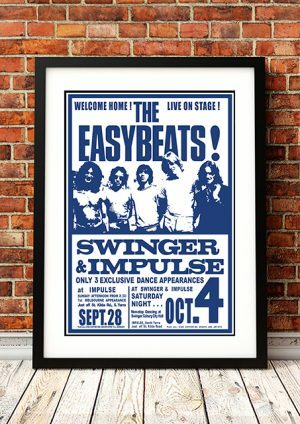 We stock a really cool Easybeats band concert poster.